As our car turned into the Club Entrance of the Saujana Hotel Kuala Lumpur, I thought we had made a wrong turn. The hustle and bustle of the big city, along with the highrises, all gleaming glass and polished metal, had given way to a green oasis. It’s hard to imagine. The centre of Kuala Lumpur, where we had just departed from, seems like a world away once you are enveloped by the peacefulness of this resort. Buildings of only a few storeys high forms the basis of the hotel and resort, so as to not distract anyone away from the picture-perfect surroundings. We are greeted in the lounge available to those staying in the Club and Executive rooms. As we were provided with a tasty juice blend as a welcome drink, along with a fresh, cold towel, it dawned on me how much I love this practice. Widely practised in Asia, it is the perfect relief for a hot day. It’s also a small gesture that elevates my arrival to another level, and I miss it when it is absent. Whilst the check-in process is undertaken guests may sit in the lounge. If your room isn’t ready, the concierge will take care of your luggage so you don’t waste a minute exploring this beautiful location. Note: When checking in at the Saujana Hotel you will be asked to provide a credit card, whereby they will take a pre-authorisation for around 200 Malaysia ringget. (approximately USD$48, AUD$67). The charge will sit as “pending” on your credit card and takes about a week to be released. Travel money cards, or debit cards (even those underwritten by Mastercard, Visa) will not be accepted. Cash may also be provided as an upfront deposit. If guests are not staying at The Club, a second main lobby operates for all guest functions. With the timber roof extending high overhead, the lobby is bright and welcoming and a resort-like feeling instantly washes over you. Nearby a lounge bar allows for some quiet drinks during the day, or a place to relax whilst waiting for your transportation after checking out. Once an oil farm and rubber estate, this sprawling area is now home to 355 rooms and suites. Three types of rooms are included in the standard hotel portfolio. With views of the lake or the golf course, these rooms satisfy the need for no-fuss, quality accommodation. Featuring either king or twin beds, the rooms are tastefully decorated in muted, conservative tones, radiating warmth and comfort as soon as you enter. A useable working area, flat screen tv and wifi are all included in the room. The deluxe rooms take an incremental step up with a 50″ flat screen tv, iPod docking station and a media hub to satisfy all of your own device connectivity requirements. For coffee lovers, the self-serve coffee making facilities are also slightly better here with a coffee machine. Slightly larger again, the executive deluxe combines all the comfortable features of the deluxe room, but splits out the bathroom into a separate shower and tub. The decor changes slightly in this room, with darker tones being used throughout. All rooms have a large window providing excellent natural light and a view over a variety of resort locations. At the more luxurious end, the rooms become much larger and have beautiful views. With a very modern Asian approach to design, they are tastefully decorated and designed. As the name might suggest, the terrace rooms are ground-floor accommodation, all with doors that open up onto the pool, lake or gardens. At 52 square metres, these rooms start to become more generous in their size and spacious enough to incorporate a living area, adding to the luxurious space. A flatscreen tv faces the bed for night time viewing, and one over the desk allows for living room viewing. A separate bathroom, with tub and shower, continues the comfort. These rooms also see the introduction of enormous rain showers, my favourite! I’ll say this is my favourite room because this is where I stayed! That being said, if this was “only” the Club Room, then you can imagine what the other executive suites are like. We get conditioned to walking into hotel rooms. We open the door, and surprise, there’s a bed, desk, tv, bathroom and maybe a couch. That’s why hotels have to try so hard to make things different, whether it be through the inclusions, the food or the service for example. Hotels can get very homogenous. So you can imagine my reaction when I opened my door to my Club Room. I may, or may not have gone back outside and said to a fellow traveller, “it’s enormous!”. With the door just open, I could see an entry lobby – a lobby! Perhaps a little smaller than the area I’d just checked in to, but an entryway nonetheless. The low lighting, which I usually loathe in hotels, seemed to make this room all the more welcoming. Behind the entry was a living area, with a dark Burmese timber dining table and chairs and a sofa adorned with bright cushions. A flatscreen tv was programmed to generate soft, soothing music as I padded around this room. Turning right, a hallway appeared. Yes, a hallway, leading down to the bedroom. With large niches filled with even larger vases and mirrors that contributed even more to the spacious feel. As I approached the bedroom, a rather large bathtub with a rather large view caught my eye. All I could think of was that I probably wasn’t going to be here long enough to be able to test that tub out. Built into the window, the tub offered views over one of the swimming pools. For those who value their privacy, timber Venetian blinds covered the windows. Otherwise, they can be opened right up to let the light in. Just beware those who might be in the pool below. At either end of the bathroom, stand-alone pedestal basins allow for the spacing out of guests. There’s also plenty of built-in shelving to put all of your toiletries. A separate room houses the toilet and another for the shower, a huge walk-in affair with both hand-held wand and rain shower. Just a tip, before turning on the tap, make sure the hand-held one isn’t pointing at you or you’ll have a shower before you’re actually ready for one. The bedroom area itself is larger than most standard hotel rooms, so you should be starting to get a sense of the size of this room. It was to be the one comment that the people I was travelling with would say over and over again across the course of the coming days. We all wished we had a chance to stay here longer. A large flat screen tv is recessed into the wall and the large working space overlooks the pool. The media hub is easily accessible, so you can plug in cables without having to crawl under the desk. Venetian blinds allow for the light to come in here also, but at night, you can achieve total block out with the additional blinds located above the desk. A separate wardrobe room also contains an iron and board and a digital safe. 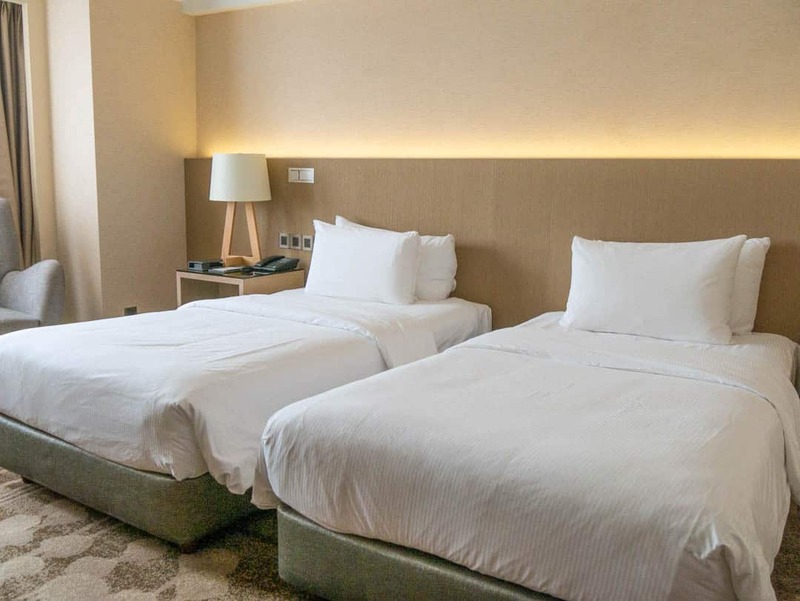 The Executive and Premium rooms, along with the Executive and Saujana Suites, just keep getting larger, more spacious and with a few more add-ins. The Saujana Suite, for example, contains its own spa suite complete with massage tables for in-house massage. Those rooms that form part of “the Club” have additional inclusions. Whilst breakfast may be taken at Charcoal, the Senja private club is also set up for breakfast. Senja is also the location for afternoon canapes and cocktails each day from 5 pm until 7 pm. When you are staying in a resort like this, food becomes quite an important part of the stay. This is because guests may not have access to transport, or would just prefer to relax and stay on site, without having to venture too far. 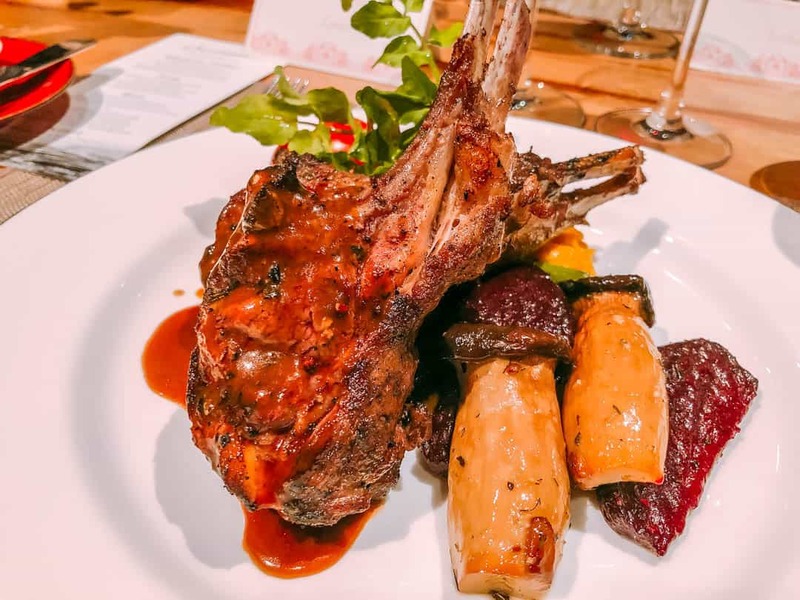 Fortunately, the quality of food here at the Saujana is exceptional and cover a broad range of cuisines with eight restaurants, bars and lounges. The primary restaurants offer a mix of Cantonese, Japanese and Italian whilst Charcoal is the signature restaurant. Following flowing glasses of prosecco and canapes at the Club Lounge, we took the short walk past the pool, where an Indian wedding was to be celebrated later in the evening. Dinner was to be a fine dining experience, with matching wines, designed by head chef Alex Chin. I had to read the menu several times after our soup arrived in a coconut shell. I was intrigued by the decoration but even more so when I opened the lid. Instantly I had a hit of steam rise up into my face, but it was the aroma that had me searching for more. then, the words “black chicken” listed on the menu had me digging around the clear, brown liquid, looking for the black flesh. Sure enough, the chicken that came out on the end of my spoon was indeed black. I have never even heard of a black chicken flesh and yet here it was. It tasted no different to a white-flesh chicken but I’m told these are quite common in Malaysia. Anyway, I provided enough entertainment for those around me whilst I was undertaking this very important investigation! I will say however that this soup was delicious! The amount of flavour the chef got into this one bowl of liquid was incredible and easily one of the best I have ever had. I must have been so taken my own main meal of Chateaubriand and duck confit, mashed potatoes, beans and red wine and brown sauce that I forgot to take a photo of it. I’ve captured the alternate main of lamb rack, however. It all tasted as good as it looked and I especially loved the effort the chef went to, to make much of the food interesting to the eye as well as the stomach. Charcoal is also where the main buffet breakfast is served each day. Eggs, waffles and coffees can be made to order if something from the large buffet doesn’t tempt you. After dinner, if you are looking for a bit of fun and entertainment, head on over to RP Entertainment Centre. Within this beautifully decorated, timber two-storey building, you will find a pool room, cigar room, cellar, live music and a fantastic whiskey bar. It’s also frequented by locals, not just guests, giving it another tick of approval. Integral to the feeling of relaxation here at the Saujana are the gardens. There are plenty of spots to sit and take time out here, either by the bright blue pool, under mini huts or down by the lake. Many of the restaurants also offer views over the gardens, pool and lake. If you want to maintain an exercise regimen, the fitness centre, tennis courts and golf course are also available. Alternatively, if you want to relax even further, beauty treatments and massages are available at the spa. 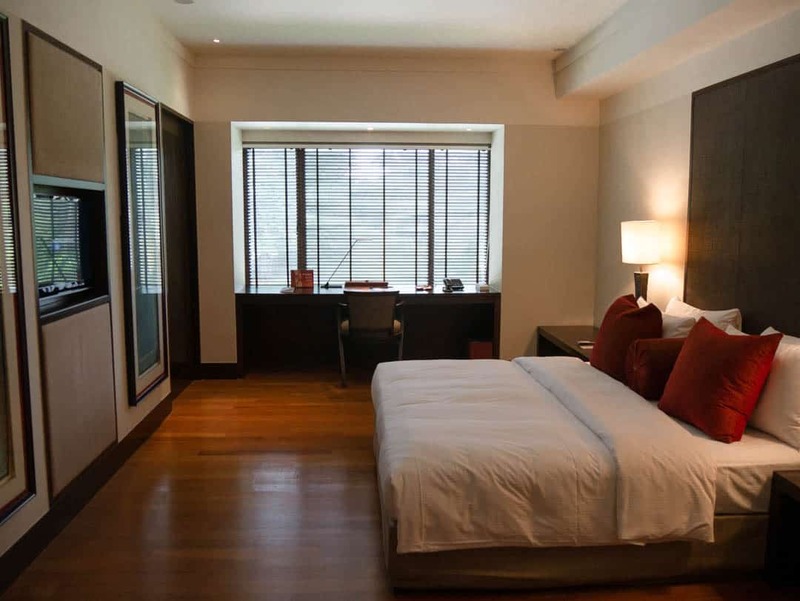 The five-star Saujana Hotel offers a tranquil stay in the heart of Kuala Lumpur. 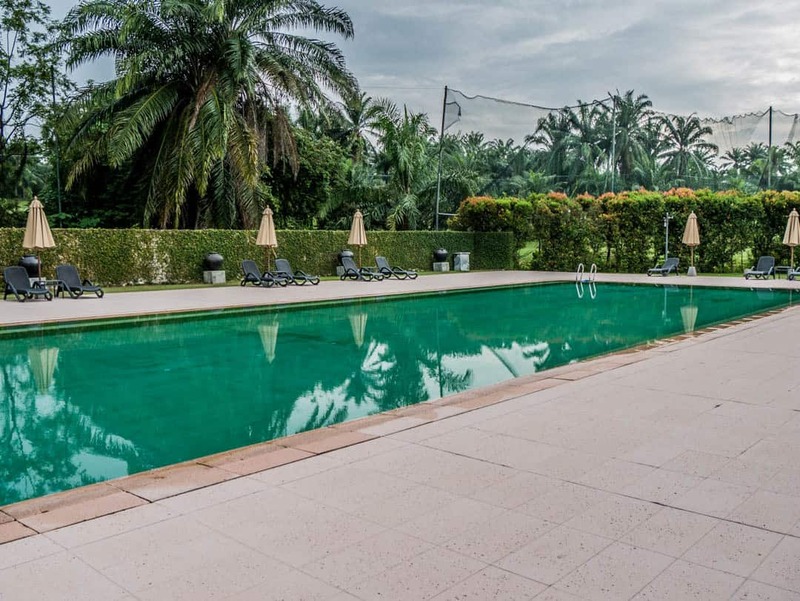 It is located in the Subang Shah Alam business district, 35 minutes from the Kuala Lumpur International Airport. It is also only about 30 minutes from the heart of KL, and 5 minutes to the closest MRT (public transport). This is the perfect place to stay if you are visiting Kuala Lumpur for a while and don’t want to be in the cut and thrust of busy city life. If you have access to a vehicle, this location would be even better, with free car parking available onsite. 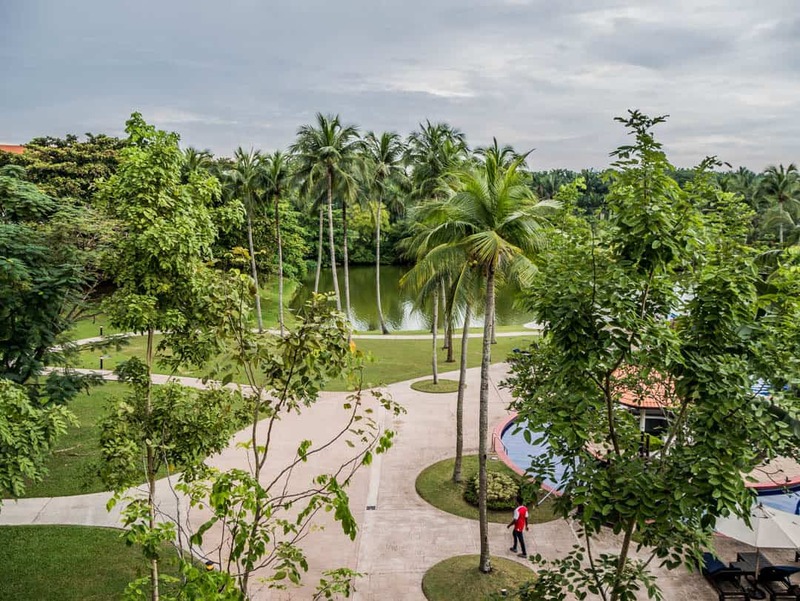 The Saujana Hotel offers the best of both worlds with easy access to the city and major local destinations alongside quiet, luxurious surroundings. Perhaps I’ve also been conditioned to the cost of hotel rooms in Australia. but the affordability of this hotel is exceptional. The rack rates for these rooms were incredibly reasonable, and that’s without any incentive or promotion. 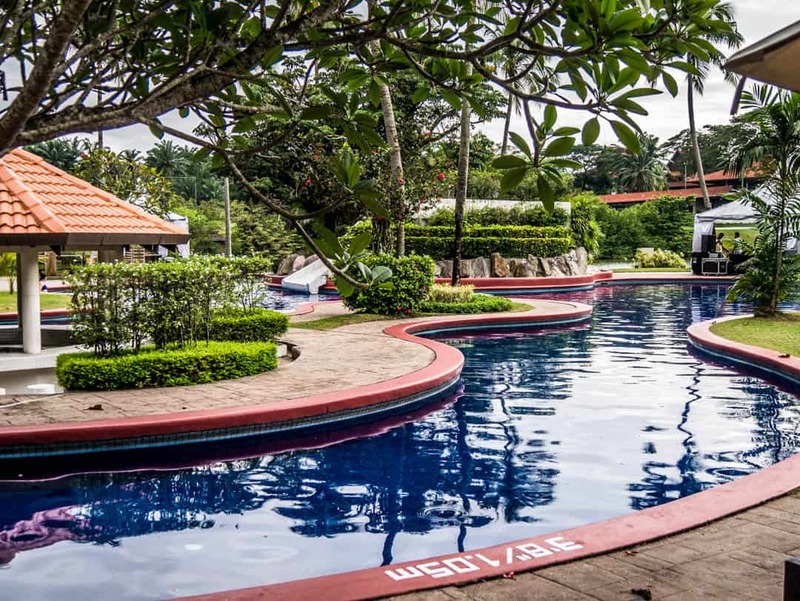 Considering the facilities, location, and inclusions that come with The Club type rooms as well, staying here at the Saujana Hotel is an absolute bargain. You can read the reviews and check pricing of the Saujana Hotel on Tripadvisor.